MANILA (2nd UPDATE) - Police held a Chinese woman Saturday after throwing a cup of taho (soy bean custard) at a police officer who stopped her from carrying her drink at an MRT station amid a ban on liquids. 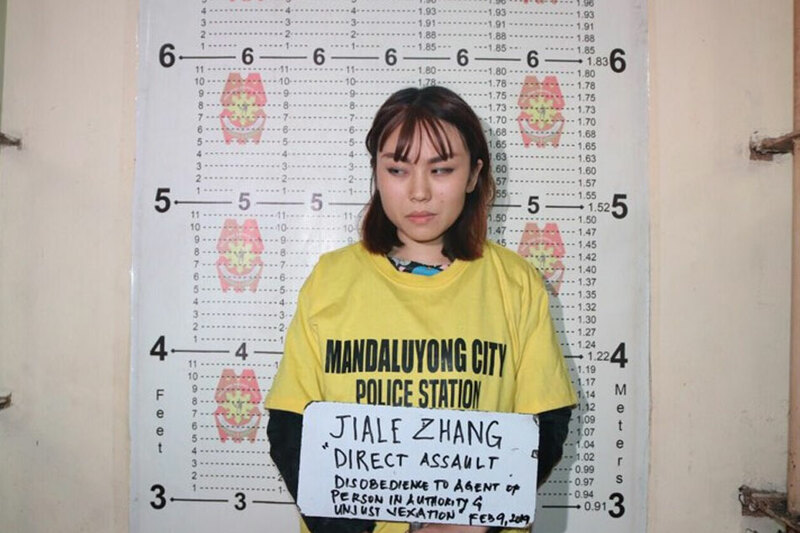 Police identified the woman as Jiale Zhang, 23, a fashion design student residing at a condominium in Mandaluyong City. According to the initial report, the woman was about to enter the platform area of the MRT Boni station around 8:30 a.m. when a security guard stopped her at the turnstiles as she carried a cup of taho in hand. An initial report from the Mandaluyong City Police said that as the guard explained the regulation, "suspect refused [to comply] and got angry." At that point, PO1 William Cristobal of the Philippine National Police Regional Mobile Force Battalion's (PNP-RMBF) 4th Mobile Company intervened. But, the police report said, Zhang "suddenly threw" her drink at Cristobal, prompting her arrest. In a statement, the Department of Transportation said the security measure against unconsumed beverage and food had been in place even before the recent ban on bottled water, drinks and liquids at train stations. "It should also be noted that even before the recent ban of bottled water, drinks and liquids, consumption of unsealed food and drinks are prohibited inside trains and stations as this can cause inconvenience, accident and delay to our operations," the DOTr said. The incident has drawn calls for the woman's deportation online, as netizens fumed at the disrespectful act against the officer.